These changes include conversion of layouts of passenger accommodation (LOPA) from single class to multi class configurations and vice versa as well as changes to passenger seat density. We offer the certification of “Zero Passenger” LOPA conversions for Ferry Flights only. Seat cover changes for passenger- and flight attendant seats, cabin- and cockpit carpet changes, galley decor or wet floor covering modifications and cabin curtain replacements are covered in this section. We are working together with certified flammability test laboratories in order to support the required material qualification tests, if required. AviaDeCo offers changes to the emergency equipment layout in the passenger cabin and cockpit. Our scope of approval also includes the developement of Operational Suitability Data (OSD) for Cabin Crews in the course of Training Requirements. This section includes installation of windscreens, coat stowages, underbin galleys, movable- and fixed class dividers. We offer the adaption of inflight entertainment systems depending on the changes to the cabin layout, installation of IFE systems, deactivation and removal of IFE-components. Replacements of In-Seat IFE-Components are also included in the scope of approval. Replacement of existing cabin lights with upgradeable LED-Lights, Adaption of cabin lights depending on cabin layout changes and modification of electrical- and non-electrical floor path marking systems are included in this section. 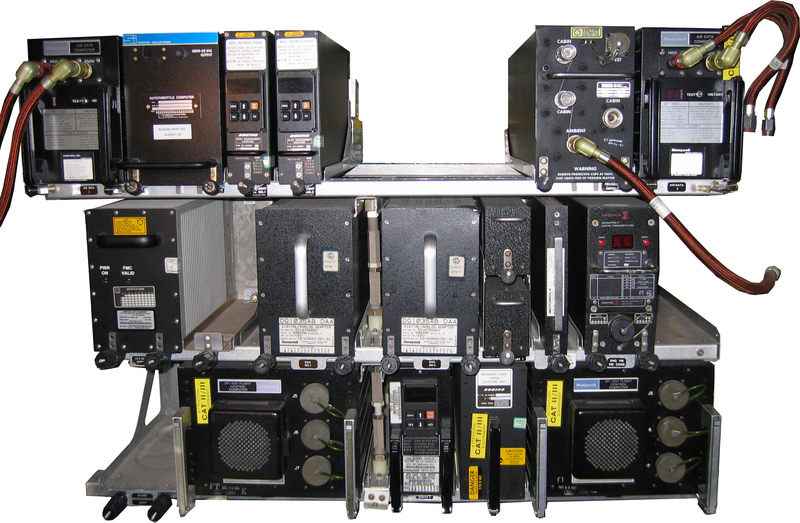 The integration of avionic Line Replaceable Units (LRU´s) includes component changes, wiring modifications and rack tray installations. Integration 220/110V 60Hz power supply systems for cockpit crew members or USB power systems for passengers including wiring installations is part of this section. This section includes pin-programming configuration changes to avionic systems, which need to be reconfigured for aircraft operator/owner transitions or fleet harmonisation reasons. The planned scope of approval of the Design Organisation covers the certification of paint drawings or the installation of external decals.